Their children, Aneesh and Anila, are in their teens. Thresiamma tries desperately to care for her family. Both her husband and her 14 year old daughter, Anila, have medical problems that require daily medication. 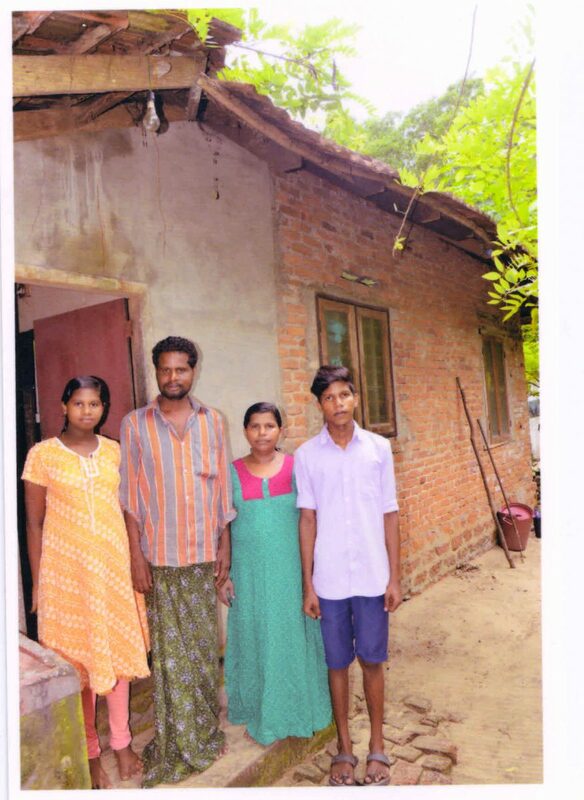 Her son has successfully completed school and wishes to enter an industrial training program. All this requires funds and Thresiamma has been told that she must cut back on work due to her own health problems. A sponsor’s support would be the answer to her prayers.